On this episode, Justin, Jeff, and Scott kick it at Justin’s home studio to talk Tacoma Hops, The Union Club, PNW earthquakes, and ideas for future shows! 2:28 – The guys kick off the show with giving props to GCP fans that became customers of Tacoma Hops after hearing episode 34 with the owner, LeeAnn. Justin talks about Union Club's (Surge Tacoma) recent win of the Tacoma City Hall Adaptive Reuse bid. 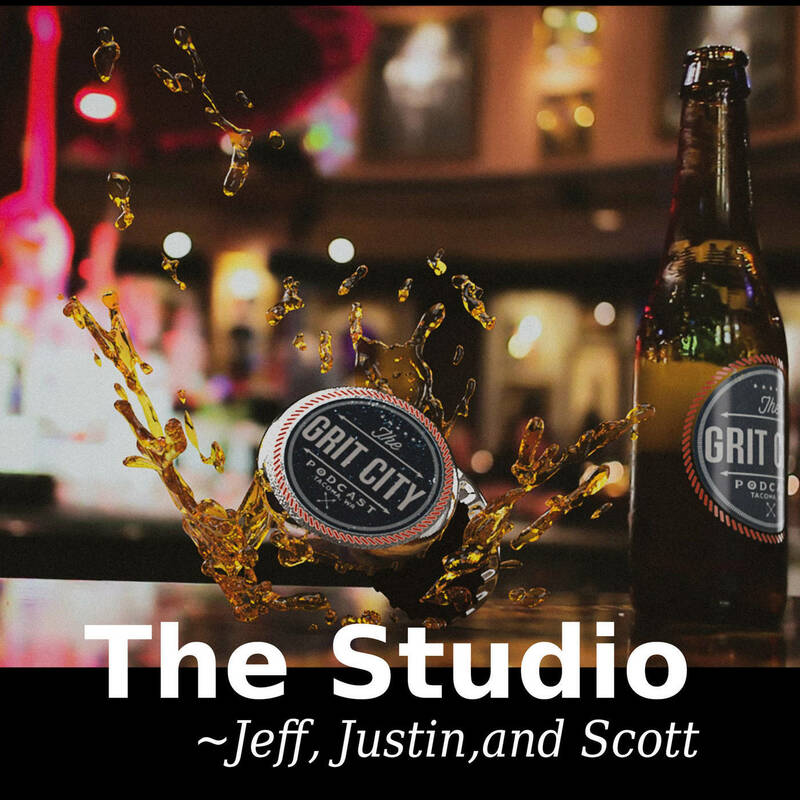 They throw around show ideas, discuss the Kill Tony podcast, Grit City Fireside Chat, and how people can get ahold of them at info@gritcitypodcast.com. 9:20 – Justin discusses TacomaHistory.Live, the guys talk of Tacoma being on the ring of fire, Rainier being one of the top 5 most dangerous volcanoes in the country, and Mt St Helens eruption in 1980. Justin talks about the earthquake that hit Tacoma in 1949, the impact it had on Tacoma, and recent faults that were found in Mt Hood by Portland. 21:52 – Talk goes to Halloween and trick-or-treaters at Justin and Jeff’s new houses, memories of Halloween when the guys were kids, and Jeff and his wife’s plans to make “parent packs” for next year’s trick-or-treaters. They talks about the Halloween events at The Church Cantina, Jeff’s mom’s opinion on marijuana after her visit with them on a previous podcast, and talk of Tacoma Weed Tours. 33:20 – The show comes to an end with conversation on the amazing things people can find in Tacoma, where people can find them online, and what GCP offers to people that are interested in doing their own podcast. Union Club Tacoma — Tacoma's premier creative community for coworking & events. Tacoma history — This site is about the way history, in this case of a city and it’s surrounds, is remembered or recorded in stories and small bits of memory. It’s also about the way images and stories go together, how they inform and enrich each other and how we as thinking people use our imaginations to fill in the content between a narrative and a visual document.